Me Is A Cat. 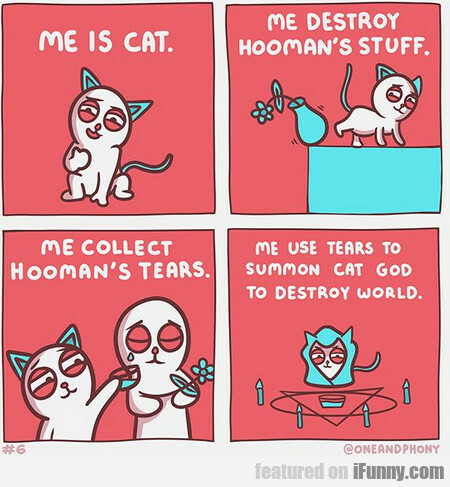 Me Destroy Hooman's Stuff. What If Girls Had Apostrophes Instead Of Periods?